In the current version of the ECD you could see your green behaviour, originated on Ring-Ring, represented in CO2 emission savings and ENRG. 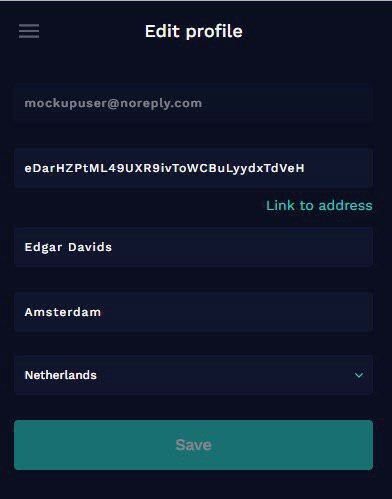 In the next phase of the ECD you are going to be able to receive the collected ENRG on your ENRG address, which you enter on your ECD profile. There will be only one address at the time, which can be changed at any point. There will be a link to the EnergyCoin Explorer, as well. We will enable transactions and transactions status; our partners will start rewarding their users via the EnergyCoin dashboard for green behaviour in this phase! This phase will be ready in February. Now in phase two we are greeting another partners joining the EnergyCoin Dashboard too. Our current partner, that is already integrated with the ECD is Ring-Ring. They will be able to start rewarding their users as soon as phase two is live. Warmsweaterday (and their technical partner Shifft) will be joining in the ECD phase two, start rewarding their users for saving energy by lowering heat power in their houses and putting on a sweater. Warmsweaterday is the biggest climate action in Netherlands (more than 173.000 participants already) , and Shifft is a company that offers an online platform for managing smart energy-use through smart meters, social interaction and gamification. There are 5 places where rewards that you would receive through the ECD could be sent: If you want to HODL your ENRG rewards, you can use desktop wallet or web wallet. 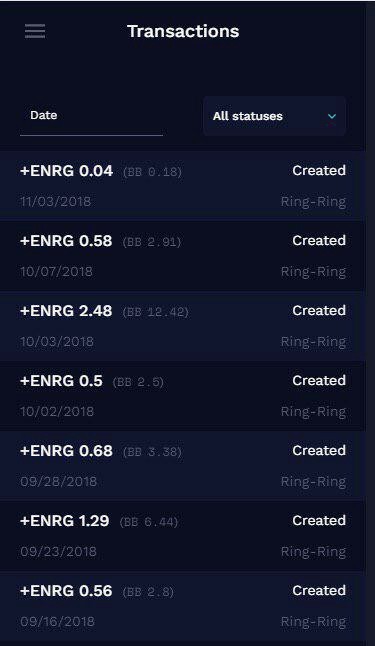 Now, if you are trading type of person, there are three exchanges where you can deposit and trade ENRG: Crex24, Nova Exchange, and Bitibu which is the newest exchange where ENRG can be deposited and traded. It’s more than easy to create an account on every of these platforms, so make sure to have one per platform and chose the best fit for you; transactions in the ECD are going to be automatic so ENRG would be sent to the address that you put as yours on your profile. Since ENRG is an active coin, you can see all the information about it: prices, charts, etc on CoinMarketCap. Hurry up; make an account on ECD via Ring-Ring and start cycling! Number of accounts in this pilot is limited to a hundred of users, so be one of them.